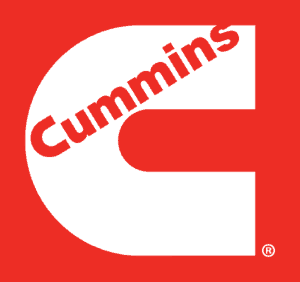 Do I underseal my Motorhome OR more to the point why should I underseal my Motorhome? If you haven’t found that dream RV or you’re thinking about changing it or trading it in then LAS can see NO point in spending the money for the next owner to benefit. 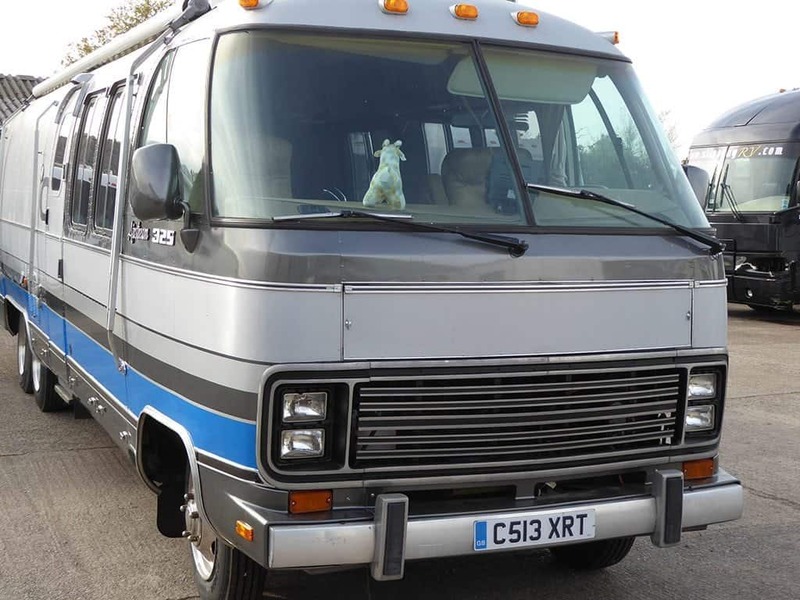 However, if you have found the motorhome or RV of your dreams then you DO need to take steps to keep it at it’s best for as long as possible, this doesn’t mean just washing, polishing and servicing it regularly. What about the underside of your RV and all those components and metalwork you can’t see every day? Firstly if your RV is under a year old the process is very simple, this age of motorhome shouldn’t have a lot of corrosion on it so shouldn’t normally need a lot of preparation. A steam clean to remove any salt and dirt from the chassis then a good coating of “Schutz underbody treatment” will keep corrosion at bay. Note: If your engine is a pusher (engine at the rear) we take particular care in coating the metal clips that are used to attach rubber hoses to the metal couplings on the hydraulics and brake pipes. The disadvantage to applying any rust prevention product over rust is that it will in time come through any sealer you use. So we need to neutralise the oxidisation (known as rust). The other option is to let nature take its course. See fig 1 & 2. Remove the loose rust with a wire brush or grinder, then paint on a corrosion blocker which neutralises the rust and turns it black. However, of course this will only work if you can reach the affected area. The other way is “Electronic Rust Protection” but we won’t bore you with the science (click here to know more). 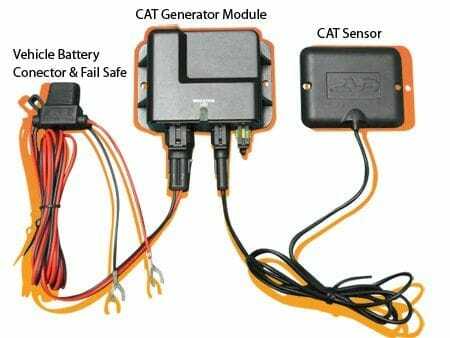 The electronic rust control unit known as The CAT will stabilise existing rust as well as slowing down the onset of any new corrosion by at least 80%. 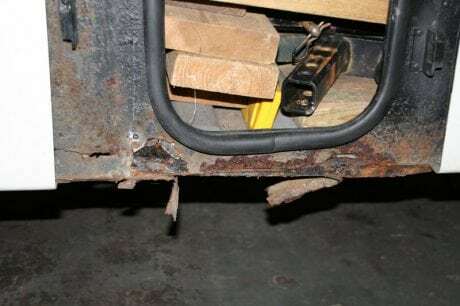 The CAT unit also protects the parts of your motorhome you can’t see, like the steel framework that keeps your wall panels in place, slide out runners and so on, as long as they are earthed to the chassis. 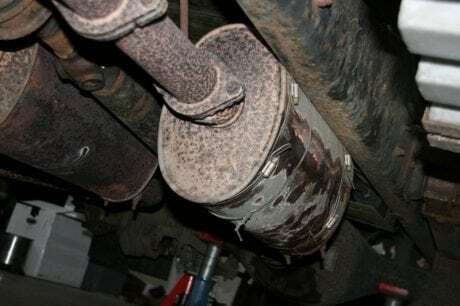 With a CAT fitted corrosion block applied and the Schutz underbody treatment applied you will give your whole motorhome the best possible chance of fighting this common disease.